Are we seeing a dawn of new street names like Kuan Yew Road, Keng Swee Street or Chin Chye Avenue? I can’t help but disagree with SM Goh that our leaders are not glorifying themselves. Indeed, I see it as a flawed statement made by our senior minister. Underlying this statement made by the Senior Minister is a reflection of a lack of national identity/ a national understanding of our past, and probably a lack of a sense of belonging to the little red dot.Mr Ngiam Tong Dow in his book “A Mandarin and the making of Public Policy – Reflections by Ngiam Tong Dow” sums up this lack of a national heartware perfectly. Today, we cannot go back to the status quo ante, to what was before. It will be pointless to restore dialect programmes back into our airwaves. The gerneration of grandparents today so not speak any dialect at all, having grown up under the non-dialect regime. What can be done? A back of the envelope solution might be to encourage our English-speaking to read Chinese history, literature, and even poetry, in English to enthuse their grandchildren about their Chinese heritage. It is not only Chinese culture that has been affected…. [E]ven in English speaking schools, technical education was preferred over subjects such as literature and history. With the neglect of English literature, yong Singaporeans do not have enough command of English to absorb the essence of western culture. Instead, Hollywood is their western cultural diet. All in all, my take is this. The Singapore Government’s relentless pursuit of Sciences and Maths, due to economic necessity has led to a neglect among our citizens, an appetite for humanities like history and literature. This is especially so in today’s secondary schools where humanities subjects such as history and literature are omitted from the school curriculum. In light of this, what can our government, agencies and even individuals do to cultivate a “homing” instinct among our citizens? “Singapore’s founding fathers will be the stars of an exhibition to be unveiled on National Day next year. The exhibitions will showcase the contributions of the first post-independence Cabinet, which laid the foundations for Singapore’s success. The project is one of four slated to be unvelied next year as part of the national effort to ensure their legacies continue to be remembered and that Singapore’s past remains alive among Singaporeans today. However, I would like to suggest some ways that the government should consider in trying to build up a national belongingness and identity among our citizenry. A. Ensure that the humanities, especially modules on Singapore’s political, social and economic history, is taught to every single citizen from the age of 7 to 18. An important point to note is this. Singapore’s history must be related to our students in a just and neutral point of view, taking into account not only the PAP’s perspective on Singapore’s political and economic history, but from every single contributor to our past. Every single student will be given bonusus or exemptions for university admissions to encourage students to excel in their comprehension of Singapore’s political, social and economic history or humanities subjects in general. B. All forms of literature on Singapore’s political, economic and social history must be sold in all major bookstores. Today, we are seeing only limited literature on these areas, usually favourable to the ruling party. Books such as Lim Chin Siong’s Comet in the Sky, and various publications by the Think Centre are not sold in major bookstores. C. Allow political clubs and/or associations to flourish in schools. This is to encourage the exchange of ideas and the formulation of an “homing instinct”. For example in France, french students are encouraged to enter universities or colleges. Some emerge as Socialists and others as Conservatives. Yet, at the end of the day, when the chips are down, they consider themselves Frenchmen. This is the sort of a Singapore society that I am looking forward to: political but not totally partisan; and at the end of the day, when the crunch comes, will stand side by side, and fight for Singapore. In this case, political clubs and associations thus play an important role in the initial butressing and exchange of ideas, opinions and viewpoints. D. Ensuring all forms of participation in politics, economy, and society to be made available to all, not only the elites. The reason is this. Goh Chok Tong and his colleagues should just look inside the home to find the answers. Where the family feels warmth and a sense of ownership, its members will always come home. Where the home is cold, and the patriarchial authoritarian father beats his children often, the kids will run away from home and find comfort somewhere else. If a home makes certain members of the family feel more important than the others, more capable than the other siblings, the siblings who are ignored and dismissed as useless and pathetic will more likely end up in the Boys Home. By allowing all Singaporeans to be able to particiapte in nation building, it entrenches a “homing” instinct, knowing full well that everyone has a stake in the country. It’s as simple as that. • From the political perspective, I would briefly suggest that electoral process be made fair and just. The mainstream media should be liberalised to allow for a wider exchange of political viewpoints, especially from the opposition’s perspective and possibly considering lowering voting age to 18. In any case, feeling at home has nothing to do with the naming of the streets/places. 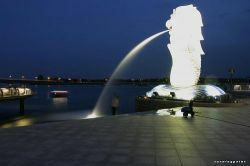 We have to face that fact that even after millions of dollars are thrown into the branding of the Merlion, one does not feel that he/she is a Singaporean just because there is a Merlion sitting at the mouth of the Singapore river. Naming streets, buildings and such will have the same result – it is just a name and a detached image. One calls Singapore home because the loved ones, family and friends live here, and whatever fate that Singapore face as a nation is faced by all who are rooted here. There’s no need for any abstract speculation as to why people just dont feel rooted enough to this country. Everyone, especially the policymakers must recognise that the country of Singapore is larger than the PAP (PAP < Singapore). 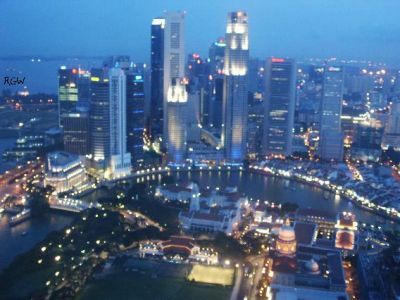 But even larger than the country of Singapore, limited by size and population , is the nation of Singapore, which includes a diaspora. Only when this mentality is entrenched within the body politic of Singapore will there be a way forward in cultivating a sense of belonging to the country we call home.